Fashion Polish: KBShimmer Office Space collection swatches & review! KBShimmer Office Space collection swatches & review! Happy new year everyone! Putting 2016 to rest and wishing you the absolute best for the year to come. Oh and I hope that you've had a blast on NYE! We've had a great time here at FP headquarters. Taking a break from Holiday themed nails and NYE glittery nails, the KBShimmer's upcoming collection, Office Space, consists of 8 palate cleanser shades in a variety of colors and finishes. A Hint of Manilla is the latest addition to the mega flame polish with its vanilla base and heavy mix of holographic sparkles. Great formula and application. I used 2 coats plus topcoat. Supplies Party is a warm cream shade packed with metallic flakes and holo sparkles that create a liquid metal birthstone finish. I also used 2 easy coats plus topcoat in my swatches below. Caught on Tape is a pale pink based mauve with a creamy finish. It's described as a 1 to 2 coater but I used it twice and had to use 2 coats both time. It was perfect with 2 thin coats though, which is what you're looking at here. Take Back CTRL is a dusty rose mauve leaning creme. I love greyed-out colors and this one's no exception! Perfect application and an easy 2 coats coverage. Makin' Copies is a pale silvery white filled with white shimmers that dries to a subtle linear holo finish. Smooth, self-leveling and brushstroke-free, I used 2 coats plus topcoat. 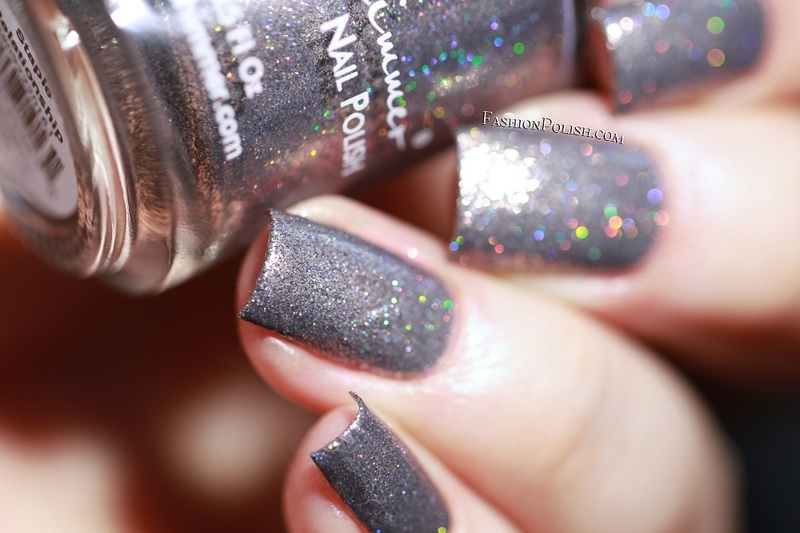 Fax of Life is a dark platinum grey linear holo. Formula was similar to Makin' Copies, rendering it perfect with 2 thin coats. 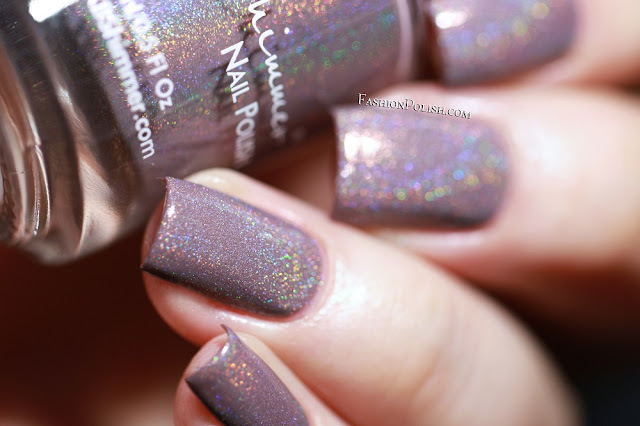 Cubicle Pusher is a muted grape linear holo that dries to smooth finish by the second coat. I used 2 easy coats plus topcoat. Staple Relationship is a metallic gray with purple undertones that consists of a heavy mix of silvery flakes and holo sparkles. Great formula and full opacity with 2 coats. I loooove this collection so much! I know that they're all mostly subdued colors but they all have a little something that sets them apart. It's hard to pick favorites but here's my top list : Cubicle Pusher, Fax of Life, Staple Relationship, Take Back CTRL and Makin' Copies. The KBShimmer Winter 2016 collection is launching tomorrow January 4th at 12pm EST on Harlow&Co. Individual polishes retail for CAD$12.50 each, i.e. approx. $9.30 / 8.90€ / £7.60 (free shipping over $25 within Canada, over $50 in the US and over $100 for international customers). Thanks for looking guys and, again, happy new year everyone!! !